03-25-02 - I added the link to the Inverted Dungeon message board, replacing the old link to the old board, enjoy those CastleVania forums, as they are much more fun and actually fit this sites content as well. Enjoy. 03-23-02 - This site is in need of some fan contributions, if you know anyone who want to share their CastleVania remixes, fanart, or anything that is not what I have mentioned, please sent it all to me and i'll gladly put it up on this website. In other news, i'm currently busy with computer problems...eventually everything will be fixed(well, not with THIS computer, but an old one of mine). Hopefully sooner or later i'll come back and work on this site, till then, adios. 02-21-02 - Been a while, but an update! 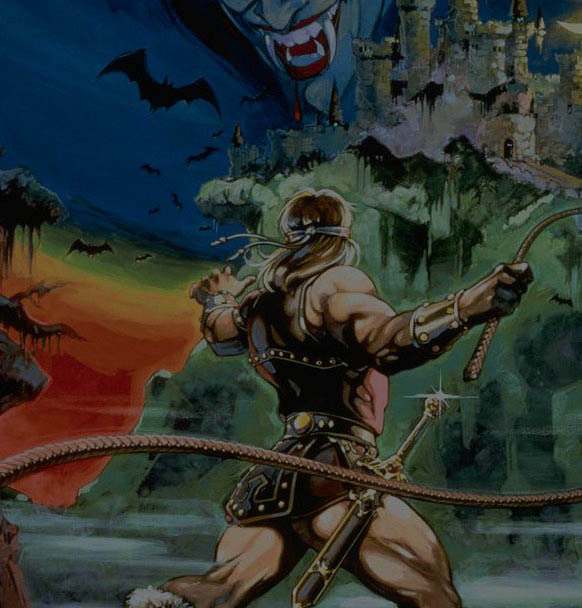 A CastleVania fan submitted a very easy way to defeat death, check that out. Something happened to the CastleVania ring it seems, since it's no longer in operation, so I might have to make my own script now for a "webring." Site redesign in progress, this time I shall be using ASP for ease, but the layout and images will be the same. That's about it...see ya soon! 11-02-01 - I added the Game Genie Codes, more updates coming soon... please send your CastleVania remixes so I can upload 'em! Hello and welcome to CastleVania HQ - your resourceful place for everything dealing with the original CastleVania! Anyways... since this site is done it need not be updated only on rare occurences, so if you find broken links, misleading information, grammatical errors, please e-mail me, WarriorSiren, and i'll try to fix what needs to be done. In the meantime, just browse through the site; if you have fanart, gif animations, manual scans . . . contribute them please!" Of course, there are plenty of variations... but you get the idea!